Dubai, UAE: OSN, the region’s leading pay-TV network, will exclusively broadcast ITV’s new lavishly produced drama series Victoria, across Asia and the Middle East premiering Tuesday 6 September on ITV Choice. Victoria launched in the UK on Sunday 28 August with 5.7 million viewers (combined total of 6.6 million including catch up) and 30% share, which is the highest audience share for a new drama, on any channel in the UK this year, and equal in share to the first ever episode of Downton Abbey back in September 2010. 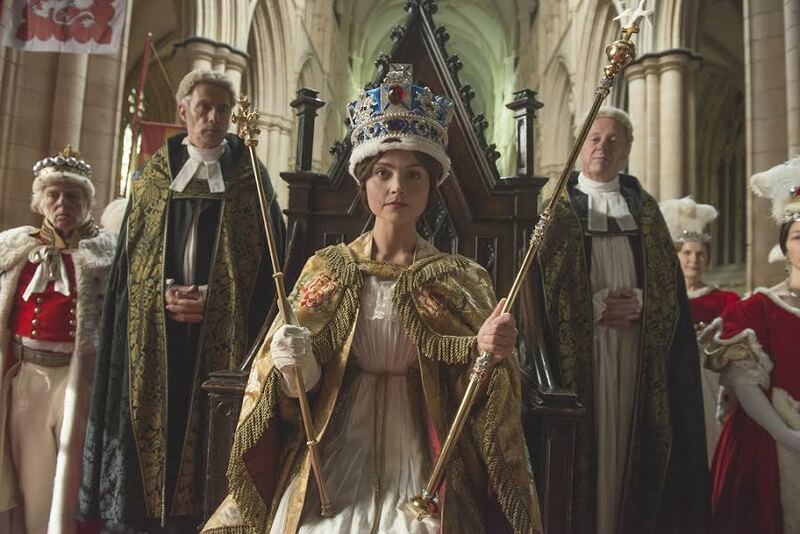 Jenna Coleman (Doctor Who, Captain America, Me Before You) stars as a young Queen Victoria in the series that chronicles the public and private life of one of history’s most interesting and influential monarchs. BAFTA‐nominated actor Rufus Sewell, (A Knight’s Tale, The Holiday, and The Illusionist) is cast alongside Coleman, as Lord Melbourne, Victoria’s first prime minister. The two immediately connected and their intimate friendship became a popular source of gossip that threatened to destabilize the government – angering both Tory and Whigs alike. Tom Hughes (About Time, The Game, Dancing on the Edge) will star as Prince Albert. Appearing in the drama from episode three, Albert immediately makes an impression on the young queen, his first cousin. Although Victoria resisted attempts to rush her into marriage initially, her partnership with Albert was a success and they would ultimately produce nine children. You can catch Victoria, every Tuesday starting 6 September 2016, at 21:00 KSA on ITV Choice HD, Exclusively on OSN (Channel 217). OSN is the home to over 150 channels and services filled with great value entertainment, offering viewers in the MENA region exclusive access to the latest blockbuster movies, top rated series, sports, documentaries, news, kid’s entertainment and live talk shows. The movie offering includes over a 100 uncut and uninterrupted movie premieres a month. OSN boasts the most comprehensive portfolio of exclusive rights from all the major studios including Warner Brothers, Paramount, Fox, Disney, Sony, MGM, NBC Universal, HBO and DreamWorks and offers access to the world’s leading television brands including Disney channel, Sky News, Discovery Network and National Geographic. Launched in August 2013, OSN Pehla brings the best of Bollywood movies and premium cricket, including exclusive telecast rights of international tournaments such as the ICC Cricket World Cup and Indian cricket, through leading sports channels OSN Sports Cricket HD and Ten Cricket. As the leader in innovation, OSN has changed the TV viewing experience by bringing quality entertainment through 59 High Definition channels and is currently the only network offering a full HD bouquet of channels as well as 3D entertainment in the region. OSN was the first to launch the OSN DVR HD; the regions first online TV platform, OSN Play; the regions first 3D, HD, internet enabled satellite receiver and recorder, OSN Plus HD and the region’s first VOD service, OSN on Demand offering viewers the opportunity to watch over 1000 movies and 52 latest seasons of the top series, all available in full HD quality and Dolby Digital sound. September 2012 saw the launch of OSN’s rewards programme, OSN Privileges, offering subscribers money can’t buy experiences, special offers and premium prizes all year round. Addressing the changing viewing habits of consumers across the region, in May 2014, OSN launched ‘GO’, an online TV service providing subscribers access to thousands of hours of premium entertainment, contract and commitment-free. The OSN platform is owned and operated by Panther Media Group Limited; a company registered in DIFC, and is owned by KIPCO and Mawarid Group Limited.